Is boating in your summer plans? Whether you captain your own vessel or are simply along for the ride, it is important to remember how each of us can help maintain environmental quality. Through the Ohio Clean Marinas Program, marinas and boaters can learn to use simple, innovative solutions to keep Ohio’s coastal and inland waterway resources clean. After meeting a set of required and recommended best management practices, interested marinas can become certified as an Ohio Clean Marina and benefit from the public recognition and compliance assistance that helps grow their business. Since 2006, the Ohio Clean Marinas Program has been spearheading the Ohio Shrink-Wrap Recycling Program to collect the low-density polyethylene used to cover boats and protect them from the harsh winter weather. Instead of going into landfills, to date more than 2.2 million pounds of that plastic has been collected and recycled by nearly 150 marinas and greenhouses – an excellent example of the potential for boaters and marinas to reduce their environmental impact. That 2.2 million pounds is a lot of plastic! You can learn more about clean marinas and clean boating at the Ohio Clean Marinas Program website, and don’t forget to Follow us on Facebook! The Ohio Clean Marinas Program is a proactive partnership among the Ohio Sea Grant College Program and OSU Extension, Ohio Department of Natural Resources, Lake Erie Marine Trades Association, and other public and private sector partners that are connected to Ohio’s recreational boating industry. Who wouldn’t want to come into a large sum of money? Assuming you won the lottery or inherited your long lost late aunt’s estate, wouldn’t you take some time to figure out how to best invest to make the most of those resources for the future? It’s called planning. Businesses, organizations and communities who are interested in longevity and growth engage in it frequently. Oftentimes, the process yields a plan. OSU Extension Community Development professionals provide the skills and experience needed to bring individuals together to develop a community plan with long-lasting positive outcomes. 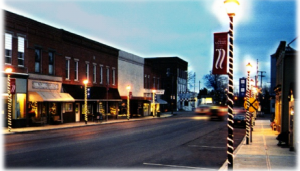 Most recently, two OSU Extension Community Development colleagues partnered with local leaders in the Village of Mount Victory (Ohio) to facilitate a plan for the business community. Nancy Bowen and Greg Moon took the community’s business owners and public officials through a research and data analysis process to identify the strengths in the local economy as well as the concerns and obstacles business owners faced. The outcome of the process was a report and recommendations with specific action items to help overcome community challenges. Village leadership has already put those recommendations into motion and brought what were many different ideas and efforts into a concerted effort. To see the report, click here. If you are interested in learning more, contact Nancy Bowen (bowen-ellzey.1@osu.edu) or Greg Moon (moon.123@osu.edu). Where have nearly two of every three new jobs come from since 1995? That would be small businesses, according to the SBA and U.S. Census. How can we stimulate entrepreneurial interest? How about a special workshop for getting high school seniors interested in and thinking about their futures as entrepreneurs and business owners? 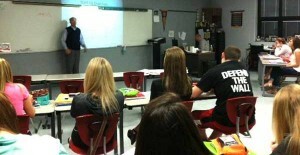 Such an effort was recently conducted with Van Wert High School seniors, 53 percent of which indicated, at the program’s conclusion, an interest in owning their own business sometime in the future. For more information about the program and to read about the pilot project at Van Wert City Schools, click here. This one-week course is an introduction to techniques and equipment used in Lake Erie sport fishing combining Lake Erie angling trips (extensive on-water training) with lectures that include related aquatic science information. 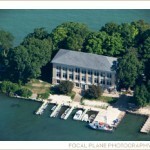 Students are required to live in Stone Laboratory housing on Gibraltar Island. Click here for complete information, including course description, syllabus and tuition/housing costs and fees. Register soon! In this non-credit workshop, you will learn technical concepts used by experienced Lake Erie anglers through personal instruction and fishing experience aboard Stone Lab’s vessel R/V Gibraltar III. Bypass empty water and increase fishing effectiveness by learning gamefish behavior and seasonal movements, strategies using specialized gear, recognizing feeding patterns and selecting tackle and gear. 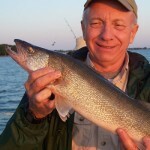 Walleye fishing will be the primary activity; however, time will be allotted for smallmouth and largemouth bass, panfish and yellow perch. Deadline to apply is June 27. Workshop fee is $450. Cost includes room and meals for two nights and three days. Click here for complete information about the workshop, including description, agenda and application process.